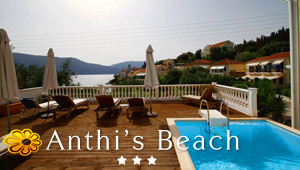 The airport of Kefalonia island is located 8 km from Argostoli, in the region of Svoronata. This airport is very popular in summer. It receives daily flights from Athens and the flight time is 1 hour. It also receives charter flights from other Greek islands and from abroad. Outside the airport of Kefalonia island there are taxis to transfer passengers to their destination around the island.